This is the second in a series of posts about photographer’s long term projects. This one is notable for several reasons, not least of which is that it's Sol Neelman's birthday, a big one. Raise a beer to Sol. 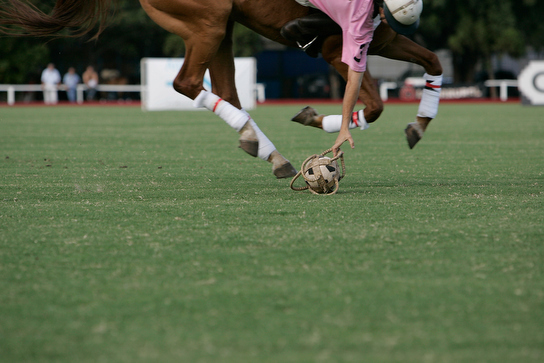 Chances are good that you’ve never seen most of the sport that Portland based photographer Sol Neelman photographs. He’s been photographing a lot of these weird sports these past few years, including events that you’d be hard pressed to call sports. There is definitely sporting involved; people in his pictures are doing things that generally require exertion and there are often balls and specialized clothing involved. But not always. Sol photographs so many of these sportings that it’s not just a topical preference and it’s definitely more than a passion. Making these pictures is a pursuit. At least that’s my impression after looking at several thousand of Sol’s pictures on the path of helping him put together an edit for a book. Why does he pursue this topic so fervently? I’d say he’s pursuing a way of seeing, a connection to a layer of life on the planet and perfecting his craft while opening his mind to an ever more diverse understanding. Q: How did this get started and how/when did you decide to make it a significant project? I really started to take ownership of my photography in 2005 after attending Melissa Lyttle's Geekfest in Austin. I felt so inspired and empowered by the passionate group of photographers I met there. Changed my life and my outlook. That weekend reminded me why I so love photography and what I hope to achieve with it. I've always loved shooting sports, so it was a logical step for me to take it to a different level. Roller Derby was enjoying a renaissance about the same time I was in Austin. I missed my chances there in Texas, but was able to photograph a couple events with the Seattle league. I had such a blast, felt so liberated shooting for me and not the paper. Soon after that, I began thinking: what other sports are going on out there that would be fun to cover? At the same time, I began helping Bruce Ely with his photo column on high school sports. Working with him helped me think outside the norm and further appreciate the quiet moments that surround sports. I see my Weird Sports project as an extension of Bruce's photo column. And your editing, Mike, gave me confidence to embrace those moments. Honestly, I'm not that great with long term projects. And I don't really think of this as one. It's more of a redirection. If I could photograph anything I wanted, what would it be? Turns out Weird Sports is the answer. I'm so excited to have a book deal in the works. (From Mike: Sol is working with a German publisher on a book of his weird sports photos.) But at no point do I think I will be done with this project. What I'm hoping is that this book will lead to other, unforeseen opportunities. My career, while bumpy, has turned out way better than I could have ever imagined. But at no point did I ever really see what was coming next. I'm curious about my future. Q: How do you decide what to photograph? Does it make me laugh? Is it photogenic? Is it random? Does it require travel? Will I have fun? Q: Why are you doing it and when do you know it's done? I want a visual legacy, something to leave behind that shows what I saw and what I was passionate about while on this planet. I seriously hope I'm never done.